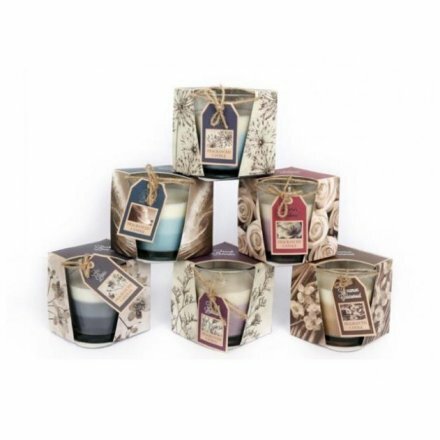 An assortment of 6 candles in layered colour designs. 6 assorted designs, individually priced. Sold in multiples of 12.